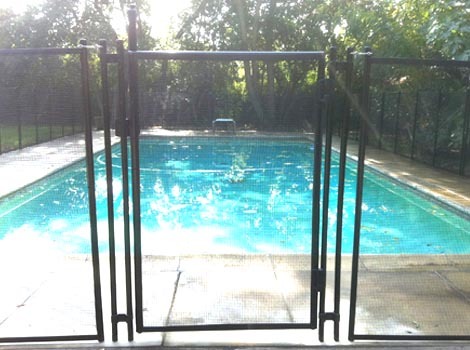 The Baby Guard Clearview pool fence mesh is the most see through fence mesh available today. 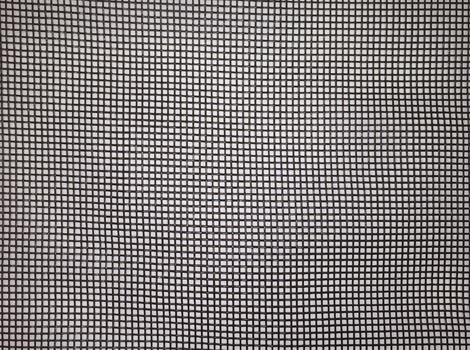 It is also the most popular style of pool fence mesh with our customers. Unlike most standard free woven mesh designs, the Clearview Mesh is twisted and knotted together. This interlocking mesh design can help prevent stretching and sagging. 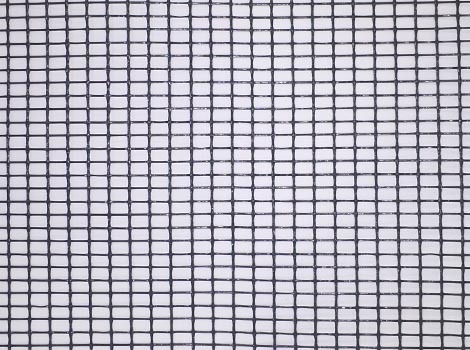 With poles are spaced every thirty six (36) inches, this mesh fence is virtually invisible. Features added to this mesh include: UV stabilization and mildew deterrent for extra strength and durability. 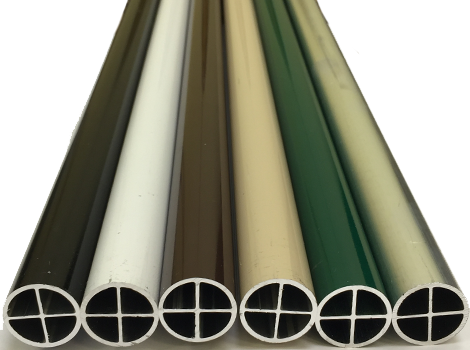 Clearview mesh is available in black, beige, brown, blue, green and white. 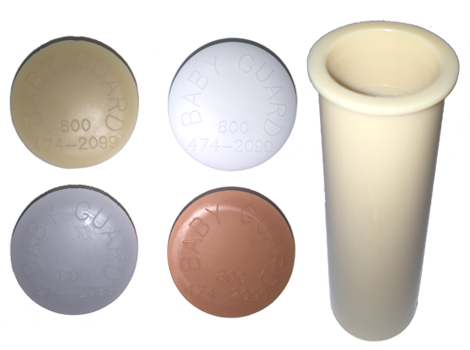 Baby Guard pool fence company offers the ultimate safety latches. Our safety solution is effective even for children of swimming age. 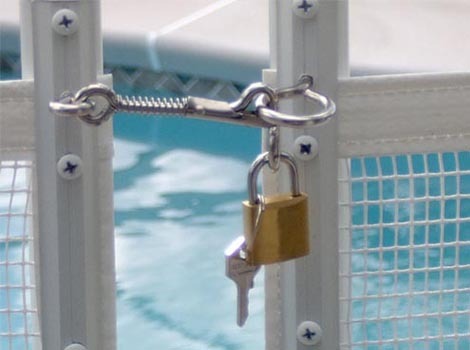 This system is key-lockable and will give you peace of mind in knowing that your swimming pool is secure from unwanted access, even for an extended period of time. 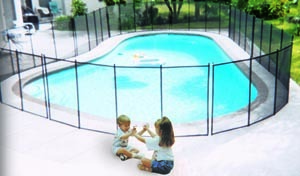 All of the parts used to construct the Baby Guard pool safety fence are of the highest quality. 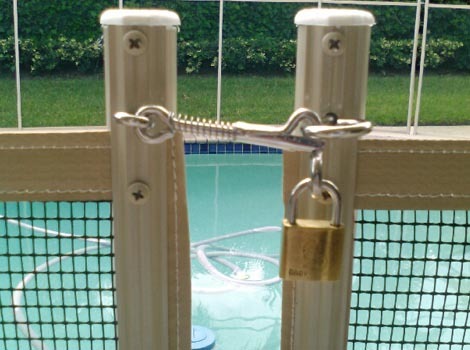 Baby Guard pool fence uses stainless steel latches and screws and heavy molded sleeve inserts. Matching deck caps are available to cover holes when the fence is removed. Even though the Baby Guard Pool Fence comes with a limited manufacturer's warranty, it is important to note all outdoor products, including pool fences, will wear due to weather. 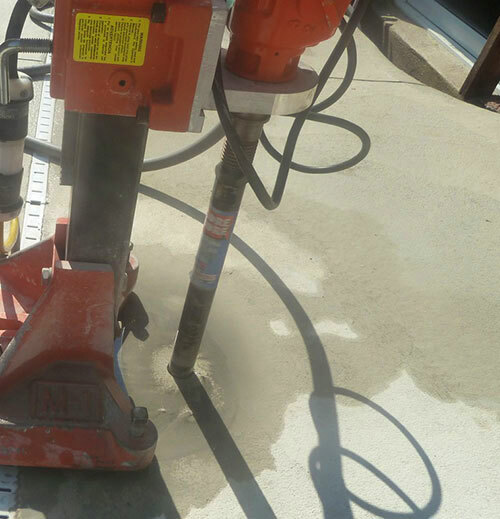 It is very important that you inspect your pool fence monthly to make sure that it is in proper working order. If you have any further questions please contact your local pool fence installer.